Ever wondered why Pilates classes start with a “Breathing” exercise? Or why instructors tell you to inhale and exhale? What is it about this basic physiological response that is important enough for such an emphasis to be placed? There are a number of reasons, the obvious one being that it helps keep you alive! 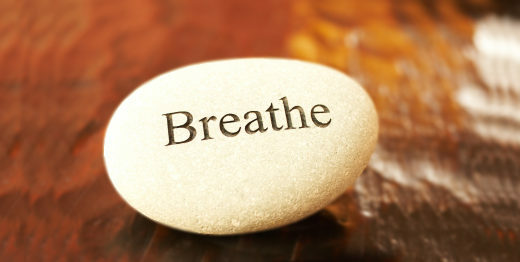 But aside from the obvious, breathing a certain way helps the mind focus. This is an important element for every mind-body practice (yoga, tai chi, Pilates and meditation). In the case for Pilates, keeping your mind in the present moment allows you to focus on what the body is doing at any given moment, but also it’s response so that you can carefully execute the next movement with precision. Breathing also helps you prepare for the coming workout. A poor breathing pattern can affect the quality of movement, creating tension and rigidity within the body and reducing the ability move fluidly from one movement to another. So, it makes sense to start a Pilates session with good breathing patterns to encourage effective oxygenation the blood and reducing tension. However, a much less considered reason, although extremely important, is that proper breathing promotes good diaphragmatic function which contributes to core stability. And isn’t that why we do Pilates – to have a stronger, more stable core? So next time you attend class, and the Instructor starts with having everyone simply breathing, approach this little exercise with new awareness. You’ll feel better in mind and body!